My Dragonfly Moon | Follow me as I sashay through life using Young Living Essential OIls, crafting, home reno and DIY to keep me sane! Several months ago I purchased two $5 raffle tickets to help a local dog rescue organization ‘Southbark’. The prize was a Young Living Essential Oil Premier Kit that I had been eyeballing for a couple of months. A couple of months go by….not a lot is happening because they had to sell X number of tickets before they could award the prize. I kept a close eye on the progress at first, but eventually kinda forgot about it in the press of daily life. Then one day in early March of this year I was notified that I WON! Shut. UP! Yes. I. Did! I couldn’t believe it! Somebody stop this bus ’cause it’s going to crazy town! I actually won it! HA! I’d been plotting how to buy it, because I’d been told it was going to cost me like $190 ….OUCH! Actual physical pain at the thought of paying that much money for something that I wasn’t SURE would actually work! So, I get the kit, which comes with this really nifty diffuser, that is humidifier and nebulizer all rolled into one. It allows you to get the benefit of the oils without having to put your head over a steaming bowl of water. Because let’s face it, steam is not a friend to my hair. Seriously. This diffuser though? It is! It’s a friend to my hair, my den, my curtains, my sofa, my dogs….it’s the bomb. The air freshening, smell good, take away all stinkyness BOMB!!! I live in a small historic cottage. Small as in just over 1000 square feet. and I have six dogs. No, that’s not a misprint. SIX dogs in sizes from five pounds up to fifty five pounds. So when I tell you that you can’t smell dog when you walk into my house? Be impressed. Be VERY impressed! You put about 1/4cup of water into the base of the diffuser, add 3 or 4 drops of your chosen essential oil and turn it on. That’s it. The next thing you know you’ll be feeling happy, relaxed, sleepy, energetic, all depending upon what oil(s) you choose to add into the diffuser! In the morning I like Orange and lemon for happiness and energy, at night I prefer lavender and Peace &Calming to help us relax and get ready for bed. It just depends what you like and what effect you are looking for! Next time we will cover using the oils topically, then as a dietary supplement. There’s lots of information out there and I will help you get through it all logically and simply! If you have any questions, please don’t hesitate to ask. Always remember that this information is from my own experience using the oils for myself and my family and loved ones! It is not meant to diagnose and or offer treatment advise to/for anyone. Please see your doctor or medical professional before beginning any new regime. Today I’d like to chat about essential oil diffusers and offer y’all an opportunity to win a FREE ONE! Yep! For the next three weeks I will be partnering with GreenAir to offer y’all a chance to win a diffuser. Each week it will be a different GreenAir product. Check back each week to see which product is being offered and details about it. 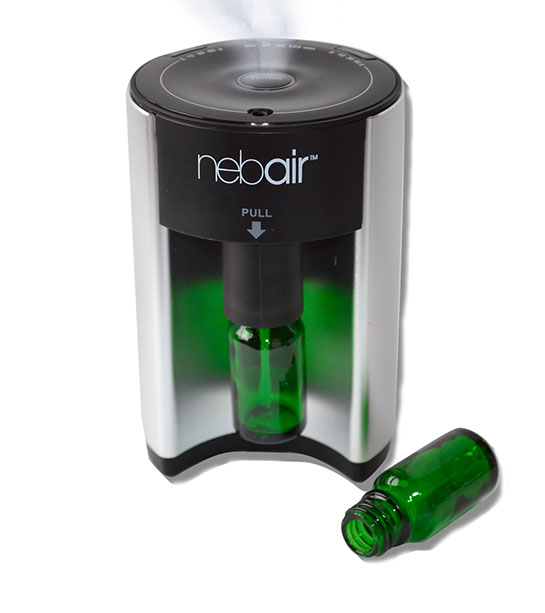 We have three GreenAir products in use continuously in our home. The Serenity, the NubAir and the USB diffuser…which I actually use at work, not at home. Keep in mind I’m a Registered Nurse and work in Labor and Delivery. As with most nurses, we work 12 hour shifts that can sometimes feel like we’ve been on shift for days! The USB diffuser helps keep me energy up and my mind clear and focused. Wonderful boons to this night shift nurse!! Each week I will choose one product to be raffled off and tell you all about it. I’m even going to share my own ‘oil recipes’ that I put in my own diffusers! It retails for $49.99, runs for up to 8 hours with an auto shut off. This baby has a 200ml water tank and only needs 5 drops of essential oils! 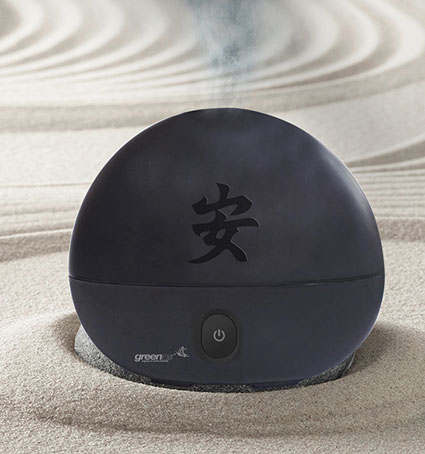 It is not only an essential oil diffuser but also functions as a mini humidifier, ionizer and an air purifier!! We put this in our den and have used it for Thieves Essential Oil when my husband had a sore throat, and often diffuse Purification with it. It only has one small blue light so it’s not at all distracting on movie night! I can’t stand lights in my peripheral vision when I’m reading or watching the tube…it bugs me, so this is perfect for us. It’s only very slim and black so it becomes almost invisible if turned to the side. Really just an all around great diffuser for a public room, in my opinion. 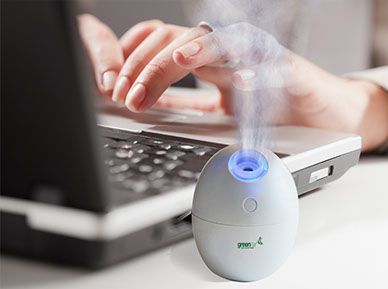 The next diffuser I am L O V I N G is this USB diffuser! This little cutie is a mere $29.99 and is perfect for desk top, offices or any other small place! It holds a generous 160ml of water and you only have to add 5 drops of essential oils for a run time of about 5 hours. It removes odors and purifies the air in those stuffy RV’s, offices and motel/hotel rooms that we find ourselves in during the summer. I use it during the twelve hour shifts I work as a Registered Nurse. I like using Peppermint and Lemon essential oils for energy during my night shifts, On the tough shifts that are high stress I diffuse Stress Away or a mix Orange oil & Joy together for a happier, less stressful shift. My husband, Big Daddy, jumped right on this one to put in the bathroom. It’s the NebAir nebulizing oil diffuser. Could. Not. Be. More. Simple. This thing will hold a 10 or 15 ml essential oil bottle (most brands fit) and all you do is remove the top and the dropper filament from the bottle and screw it into the nebulizer! On the top there are four stage timer modes, 16 interval settings and 64 pre-set smart setting selection. Basically? These timers allow you to decide how long the atomizer will run. You decide… and it really is simple! Anything from simply turning in on and off manually or allowing it to run in 5-60 second intervals for up to two hours! Plus loads of other settings too! This is a retail cost of $79.99 and I think it’s a steal at that price! YEAH BABY! 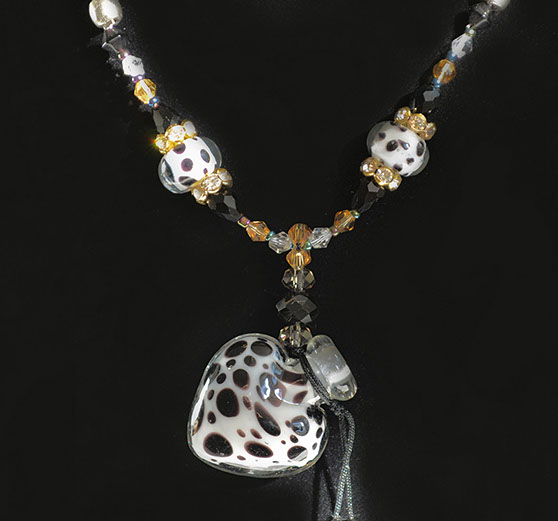 This gorgeous thing hangs around my neck and is filled with Peace and Calming! Just the thing when I’m stuck in those looong grocery store lines, or stuck in traffic, or around screaming children….just so many uses! I encourage each of you to check out these products and order some for yourselves! They are fabulous and I am proud to be able to offer three products to y’all by raffle over the next three weeks! I was compensated with GreenAir products for blogging about the different diffusers but will NEVER tell you something I don’t believe to be the absolute truth about any product I ever use! Please see Disclaimer Page for all disclaimers. Health is a gift that we must take charge of!